The incredible win of Iceland over England recently brought back some memories of Iceland. 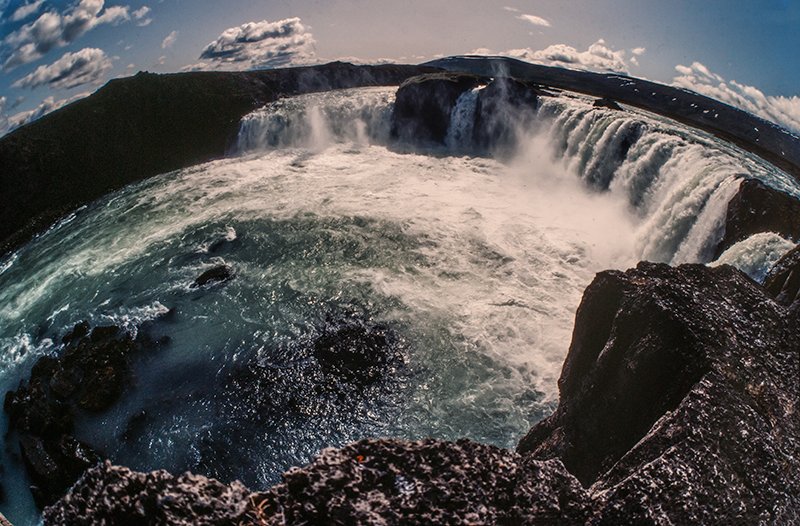 This image of the Godafoss waterfalls was shot in June 1983 with a Nikon f4 and a fisheye lens. The waterfall of the Gods is in the Baroadalur area of north central Iceland and is very spectacular.